My all-time favourite nail polish brand has got to be the one-and-only Barry M, so when I heard about the new launch of some uh-mazing pastel shades to their Gelly Hi-Shine collection, I immediately went on the hunt for them. Unluckily for me, my town is terrible when it comes to stocking new releases and so it took me a few weeks to finally get my paws on the full trio. I have them in my grasp now, however, and couldn't wait to give you guys a run-down on these stunning nail shades. 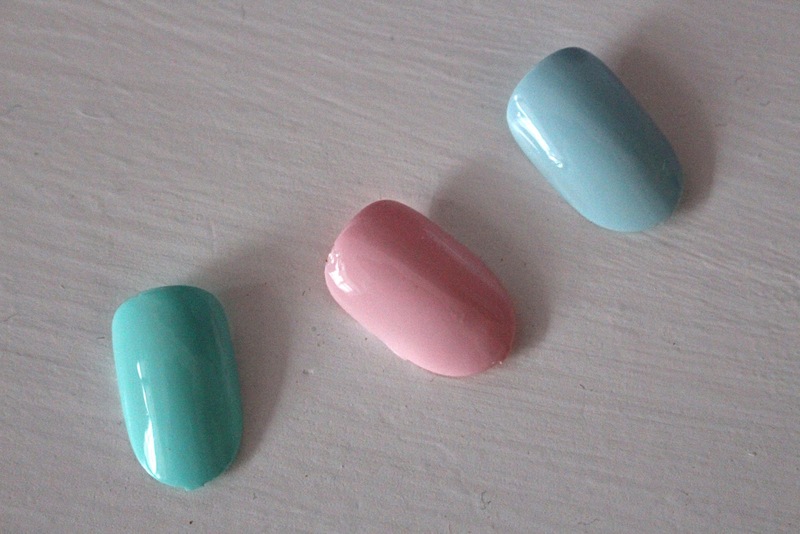 Pastels are everywhere at the minute, so it makes perfect sense for Barry M to release these colours for spring. The three colours are Sugar Apple; a bright mint shade, Rose Hip; a beautiful pale pastel pink, and Huckleberry, a powder blue. Each of the shades is completely gorgeous in their own right and amazing to wear at this time of year. 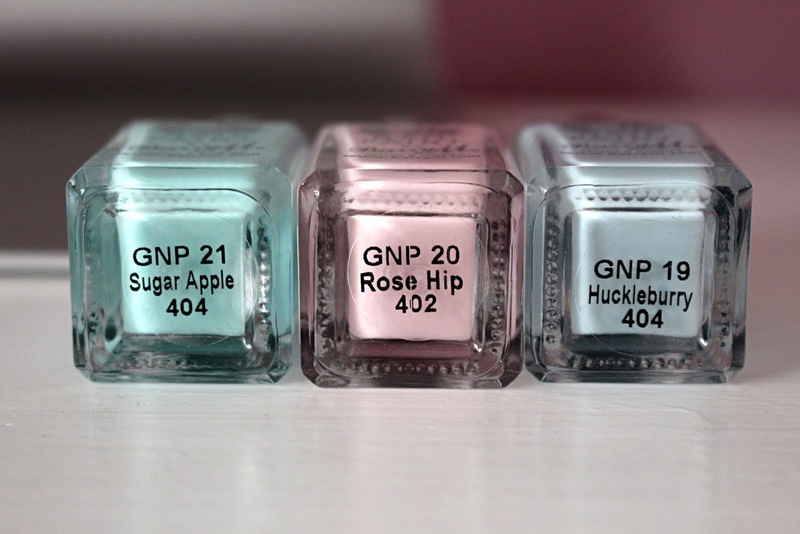 I've been on the hunt for a really pale sugary pink and Rose Hip has answered those prayers for me, whilst I think my favourite of the three is quite possibly Sugar Apple - it's just an amazing minty green that seriously packs a punch. Huckleberry is the shade I was least drawn to, but it's still a stunning colour which I think will look amazing with a tan. Whilst the shades themselves are beautiful, the finish is what makes them the most exciting nail launch I've seen for a while. The Gelly Hi-Shine finish is on point and makes these polishes look so much more expensive than they really are. In terms of application, I find it can take a couple of layers to get a really opague colour, but once it's on these babies last as well as any other Barry M polish. Overall I am head over heels for these pastel polishes and if you're a fan of Barry M you need them in your life.